Is the “Frozen” Mania Finally Over? There’s no denying the facts: ever since Disney’s “Frozen” hit the theaters a few years ago, it has been a smash hit as well as huge money maker. Some of the last estimates I saw suggest the film earned more than $1.2 billion in theaters. Add to that countless dresses, dolls, and toys, and it is easy to imagine how the Walt Disney Company has become hooked on all things “Frozen.” For Disney, all things Arendelle has become a license to print money. Disney hopes to continue the windfall by creating a “Frozen 2” movie. The company has not yet released a specific date when the sequel will hit the theaters, but many insiders believe it will happen in 2018. Since 2018 is well into the future, the Disney Company has a lot of time to keep “Frozen” mania alive. When Disney released “The Little Mermaid” back in 1989, it too was a smash hit. It earned more than $200 million, which back in the day was a boatload of money – especially since the film cost just $40 million to make. Disney Parks in the US didn’t get a significant “Little Mermaid” attraction until 2011 at Disney’s California Adventure, and 2012 in the Magic Kingdom when Under the Sea: Journey of the Little Mermaid opened. 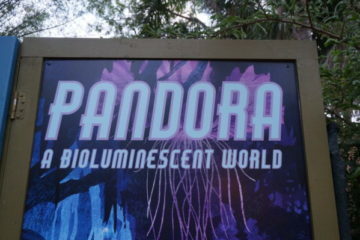 I can understand why the company wants to be cautious. Characters come and go in their popularity. 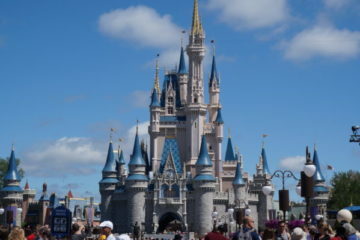 Parades and shows are relatively inexpensive; however, attractions in theme parks built from steel and concrete need to bring in the crowds for decades in order to pay off. 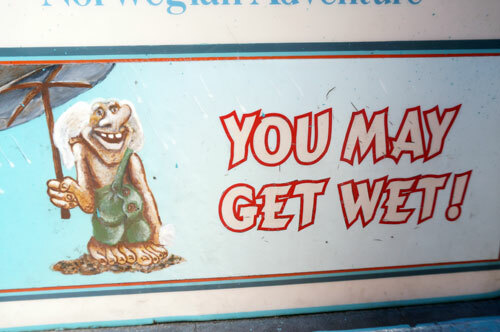 Still, waiting more than 20 years before giving Ariel a serious home in the parks seems like an awfully long time. 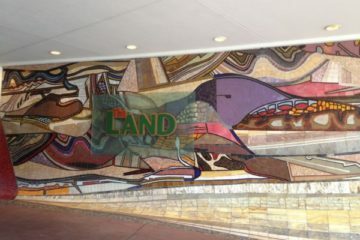 One of the first places that Disney brought the “Frozen” movie characters into the theme parks was at Disney’s Hollywood Studios. 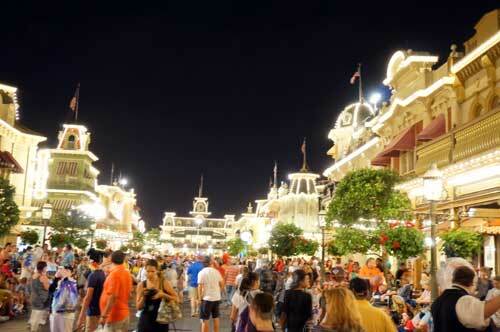 The park quickly put together a “Frozen” themed parade as well as a fireworks show. They also staged a popular sing along show that continues today. These were relatively quick and inexpensive additions. 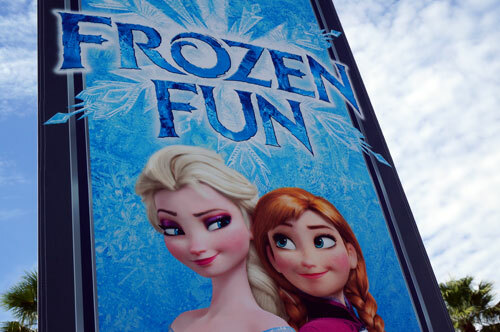 Disney added “Frozen” fun to the Studios. 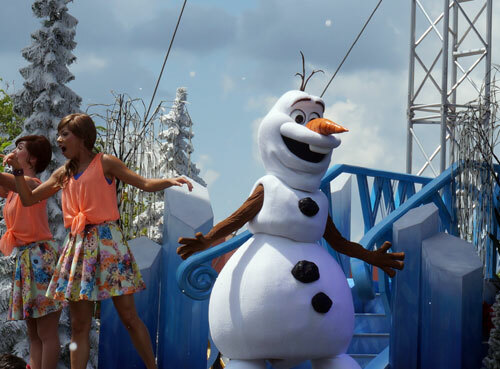 Olaf came to life in a parade and on stage. 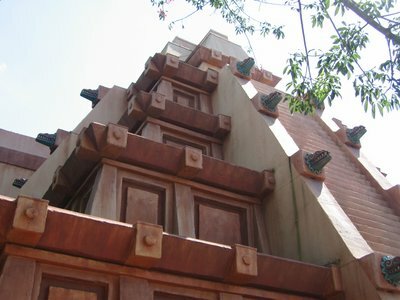 Regarding longer term investments to bring “Frozen” into the Parks, Disney is currently working on replacing the now-closed Maelstrom attraction in the World Showcase section of Epcot with a permanent “Frozen” themed dark ride. 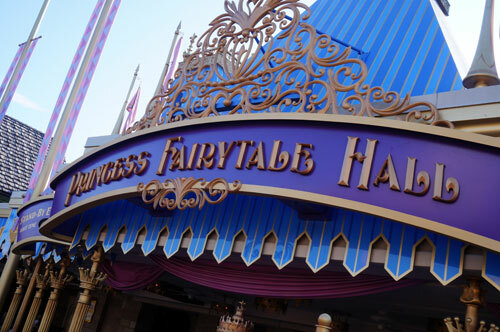 In addition, Park guests can visit Anna and Elsa in Princess Fairytale Hall in the Fantasyland section of the Magic Kingdom. Here, however, we may be seeing a sign of “Frozen’s” popularity thawing a bit. 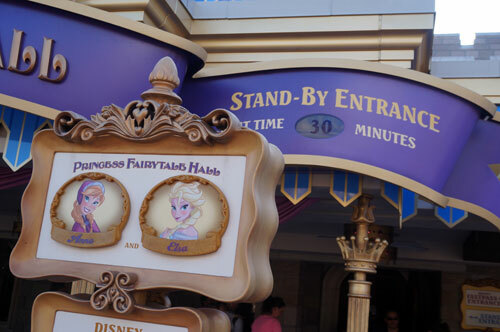 On a recent Saturday, I noticed that the standby line for meeting the princesses was down to just 30 minutes. This was during a slower time of the year, and that is still a long time to wait for a meet and greet. Still, that is a far cry from the hours that people used to wait for their chance to get a photo with “Frozen” royalty. You can see Anna and Elsa in Princess Fairytale Hall. You no longer have to wait forever to see Anna and Elsa. Does this mean that “Frozen’s” popularity is decreasing? 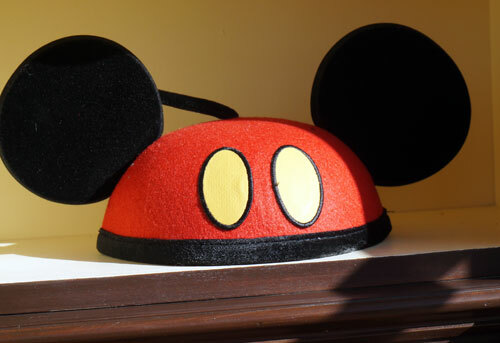 Has Disney overplayed the brand so much that people just aren’t as interested any longer? Or, is this just a sign of a natural pause before all the hype builds up again when the new attraction opens in Epcot, and eventually “Frozen 2” hits the theaters? Did Disney over-hype “Frozen”? Is the mania over?